Ali Ebrahimi was born in Iran where he finished high school. Upon graduation he came to the United States, receiving a Bachelor of Science degree in Civil Engineering from University of Maryland and a Masters Degree in Urban Planning from Catholic University in Washington DC. In 1968 he returned to Iran where he founded Gostaresh Makan Company, which became the largest residential development company in the country. The company built in excess of 8,000 homes and related infrastructures and constructed several remote townships to support the growing oil and mining industries in Iran. Following the 1979 Islamic Revolution, Mr. Ebrahimi’s entire assets were confiscated by the new Government in Iran and he moved permanently to the United States. He assumed control of Ersa Grae Corporation, which he had founded 2 years earlier, and continued developing mixed-use residential and/or commercial projects in the U.S. Since then, Ersa Grae has grown rapidly, having developed two million square feet of commercial space and several thousand acres of residential communities. 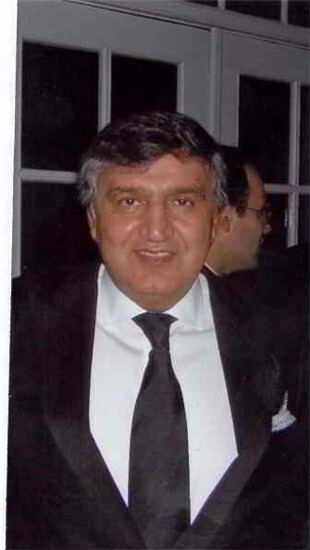 Mr. Ebrahimi has been active in various US and Iranian community affairs. He is a recipient of the Ellis Island Medal of Honor and a director of World Affairs Council. Mr. Ebrahimi is married and has five children.